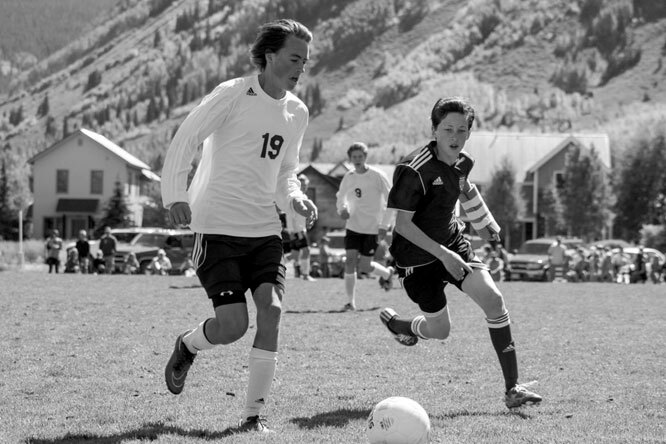 The Crested Butte Titans soccer team squeaked out two more league wins this past week and the team members are now in the process of preparing for their next big challenge of the season: Telluride. The Titans hit the road on Tuesday, September 15 to take on the Ridgway Demons, a young but notoriously tough team that always provides a stout challenge for the Crested Butte squad. Tuesday was no different, as the Demons continued to bring a quality game of soccer to the pitch that handcuffed the Titans at times on a field that lends itself to slow but wide-open soccer. Ridgway looked to transition into their own counter-attack but the back four of Crested Butte retained their defensive shape with Thomas Taaca and Woody Martineau closing off the middle and Dylan Eaton and Nate Hoskin shutting down the outsides. Center midfielder Patrick Seifert worked hard to try to find openings in the Demon defense and his efforts set up a couple of chances, but the shots missed their marks. Alden Watkins finally broke the scoreless stalemate when he slipped free and pushed the ball past the Demon goalkeeper for a 1-0 Titans lead at halftime. The Titan coaches turned to Henry Sunter to help defensively in the midfield and Sunter’s work shut down the Demon transition to open the second half. Crested Butte continued to press on offense and found the back of the net in the 60th minute when Seifert took a pass and blasted a shot just inside the post for a 2-0 Titans lead. “We put Henry in as a defensive midfielder to run and use his speed and intensity to mix things up in the middle, and he executed flawlessly,” says Davis. 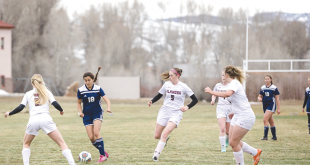 Ridgway responded three minutes later on a set play shot that slipped under the crossbar to cut into the Titans’ lead, but the Crested Butte team maintained its composure to close out the game with a 2-1 win. The Titans returned home to host the Bayfield Wolverines on Saturday, September 19 at Rainbow Field and their struggles in the offensive third continued. Despite the dominant play of Seifert and Noah Dumas at midfield and the work of Merlin Mapes, Gus Hensley and Cam Curtiss on the flanks, the Titans just could not find the finishing touch. They finally broke the ice 20 minutes into the first half as Watkins tapped in a loose ball during a scramble in front of the Bayfield net. The Titans continued to dictate play for the remainder of the half but missed on several more opportunities and took another 1-0 lead into halftime. “They executed even more offensively but their striking on goal is still off,” says Davis. 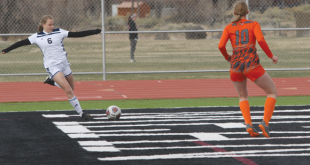 Crested Butte picked up where they left off to open the second half but appeared stalled at one goal until the 63rd minute when Dumas slipped through on a corner kick from Mapes to bang home the header for a 2-0 lead. Additional flank attacks opened up one last goal for the Titans as Jordi Nichols sprinted in on a cross to tip the ball over the Bayfield keeper and Curtiss followed for the finish, sealing the 3-0 Titans win. “The intensity really went up in the second half and we’ve been working on set plays, so to see a head goal shows a lot of progress,” says Davis. The Titans will have their hands full this Friday, September 25 when they host the Telluride Miners at Rainbow Field at 4 p.m. for the annual Crested Butte Homecoming game.